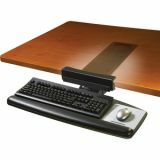 3M Tool-Free Install Knob Adjust Keyboard Tray With Standard Platform, Black - Keyboard tray features a knob adjust arm and standard platform. 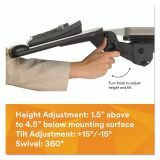 Economical arm design lets you set both height and tilt (+15 degrees/-15 degrees) by loosening and tightening a single knob. 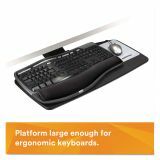 Standard all-in-one keyboard platform holds both keyboard and mouse. 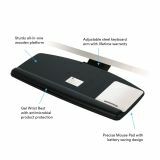 Mousing surface can be positioned left or right. 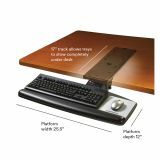 17" track length is ideal for shallow workstations as well as desks with deeper mounting depths. 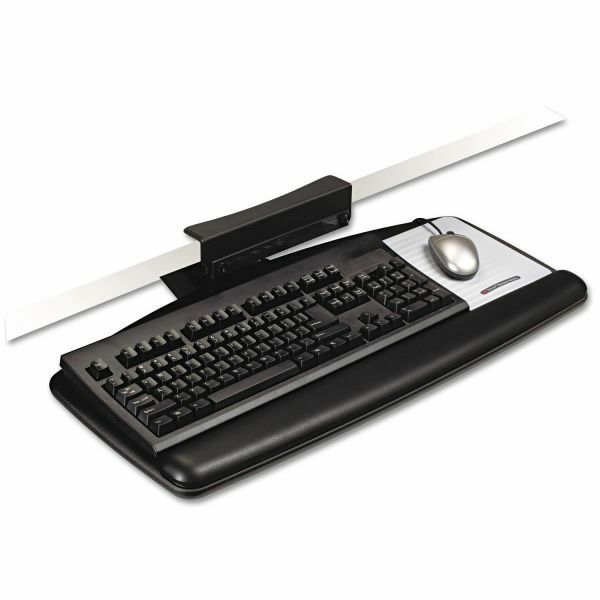 Keyboard tray offers a 360-degree swivel. 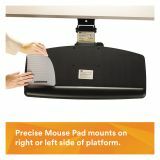 Not compatible with corner workstations.